We can quickly open folders and execute applications manually using commands in the Run box on Windows. Everytime we enter any command into Run box, it is saved in Windows registry. Over a period of time, history of commands used in Run box is stored internally on your Windows computer. While there is a complex method to view and edit Run box history by opening Registry Editor, you can use simple and easy method of using Windows Run History Editor program. Alternatively, you can use portable ‘Windows Run History Editor’ tool for viewing details of commands used in Run box over period of time. You can modify the history by editing any entry or delete all history details for Run box using this utility program. 1. 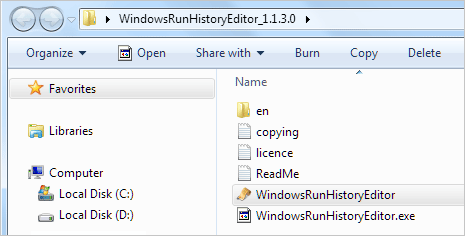 On your Windows computer, open Windows Run History Editor download webpage. Proceed with downloading of zip file containing the utility program. 2. Unzip the downloaded and open the folder with extracted contents. 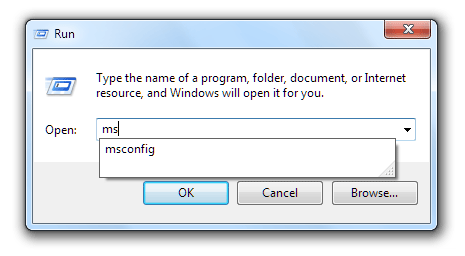 Then double click “WindowsRunHistoryEditor” file to launch the program. 3. Program will automatically load and display last 26 entries of Run box history on your Windows PC. You can click to edit either of 26 entries.